This campaign by DentsuBos Toronto is so smart and so simple – just the way we like it! With the task of advertising an interactive rock and roll exhibit, they found names of rock bands and personalities who shared names with those of the elements. Using nothing but copy and smart colour choice – their campaign was done. Perfect. See if you can get all three of them! 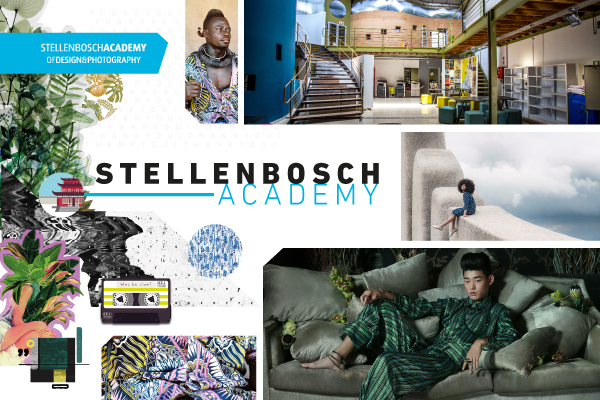 This entry was posted in Art Direction and tagged Art Direction, DentsuBos, Discovery Centre on April 28, 2017 by stellenboschacademy. What a smart campaign by Connelly Partners Boston. For a brand like Samsonite, which manufactures luggage, there are only so many ways you can show suitcases before it becomes wallpaper. Here, they showed what people actually use their Samsonite luggage for, creating emotional connections with the viewer rather than just showing them more product. Great thinking and beautiful art direction too! This entry was posted in Art Direction and tagged Art Direction, Samsonite on April 26, 2017 by stellenboschacademy. Come join us for our next Open Day on 13 May and see what we’re all about! We’ll be giving guided tours around our campus along with curriculum talks to explain what makes us Number 1 at 10:30 and 12:00. If you’re interested, please RSVP to louise@stellenboschacademy.co.za. This entry was posted in Academy Work and tagged Open DAy, Stellenbosch Academy on April 25, 2017 by stellenboschacademy. With great art direction and illustration, this campaign for Liomont Analgen Forte by Publicis Mexico City uses a great insight to inform the look and feel. When you have a headache, it usually becomes someone else’s problem. Here, they showed how hierarchical structures can be affected when the boss has a headache, with a simple but very clever illustrative device. Eventually, the boss’s headache becomes everyone else’s problem. This entry was posted in Art Direction, Illustration and tagged Art Direction, Illustration, Liomont Analgen Forte, print, Publicis Mexico City on April 24, 2017 by stellenboschacademy. MailChimp is a great tool for sending out some of the best newsletters the world has ever seen. (Yes, if you have subscribed to our newsletter, we use MailChimp!) And they’re always looking for interesting, innovative ways to market themselves. And with a broad scope like ‘the internet’ they are able to really push the boundaries. In fact, this comes from a larger campaign where MailChimp has been making fun of their own name – using a number of similar sounding things like: FailChips, KaleLimp, MaleCrimp and others. Yes – each one has its own website too! Here, MailChimp created an interactive website that allows you to make whale noises. It’s that simple. And that much fun. No other reason than WhaleSynth sounds like MailChimp. And look at their other sites here. This entry was posted in Multimedia and tagged MailChimp, Multimedia, Sound, Whalesynth on April 21, 2017 by stellenboschacademy. This simple website for a Swiss music festival in London is more than meets the eye. The festival itself is all about experimental music and when you move your cursor over the poster, you’ll notice that sounds emerge from the site itself. It doesn’t get more experimental than that! Have a go below – and see how experimental you can get! This entry was posted in Multimedia and tagged Multimedia, Music, Oto Nove, Website on April 19, 2017 by stellenboschacademy. What great news! Lucia Petschnig and Kirsten Haviland were named winners in the One Show Young Ones Portfolio Award from The One Club. This makes them two winners out of only thirteen chosen from across the entire globe. Well done Lucia and Kirsten! You can check out the official post on Lucia here. And you can check out the offical post on Kirsten here. This entry was posted in Uncategorized on April 18, 2017 by stellenboschacademy.